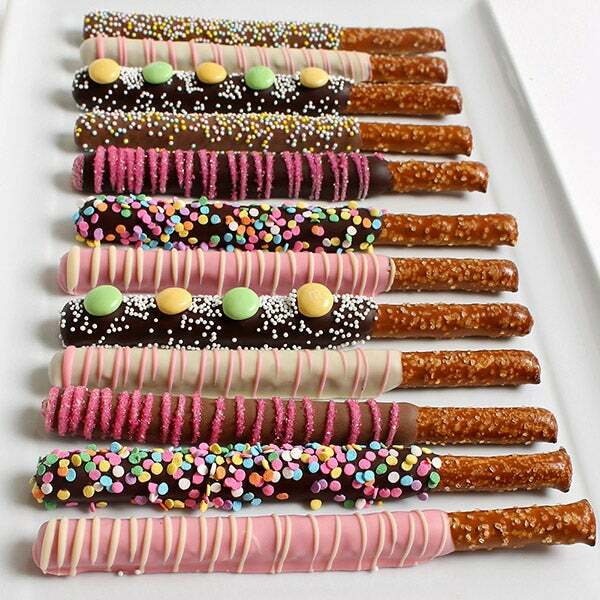 Celebrate spring with these gourmet chocolate dipped pretzels in fun pastel colors! A delicious mix of salty and sweet, these crunchy confections are the ultimate snack. Dipped by hand in the finest Belgian chocolate and decorated with yummy springtime embellishments such as bright pastel candles, sweet sprinkles, and colorful candy swirls, these pretzels are the ultimate indulgence.